The Duke and Duchess of Cornwall joined singing superstar Lionel Richie this week for a special meeting in Barbados to discuss the importance of supporting young people in need. 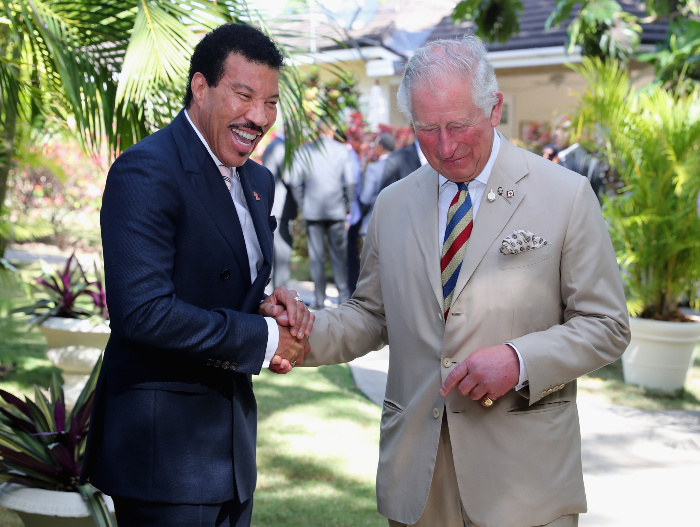 Prince Charles and Camilla were all smiles as they met the Endless Love crooner as part of their tour of the Caribbean island. The three friends spoke about Charles’s charity the Prince’s Trust and Lionel gave a touching speech on the progress young people in Barbados thanks to help from the charity. The Prince’s Trust was first created in 1967 after the royal completed his duty in the navy as a way to improve the lives of disadvantaged young people in the United Kingdom. It has since grown to support those across the world suffering with homelessness and mental health issues through the development of free programs. Lionel, who is first Global Ambassador and Chairman for the Global Ambassador Group for the charity, spoke openly about the changes the country has seen since being involved with the Prince’s Trust. “The two things I heard were self-esteem and self confidence,” he explained in a video shared on the Clarence House Twitter page after visiting children in the country. “The fact that they (young people) can now believe in themselves is a huge step forward and I was so proud to see them, they were actually excited to be there and telling their stories. He added: “I am going to come back here myself and see them again because they inspired me”. The programs have provided practical and financial help to young people aged between 11 and 30-years-old across the world over its time with a total of £1.4 billion (AU$2.6 billion) delivered as part of the charity in the last 10 years. Moving forward the Prince’s Trust’s main goal is to continue to build the confidence among young people and provide them with opportunities to succeed. As part of the royal couple’s visit, Prince Charles and Camilla also spent time with Governor General Dame Sandra Mason at Government House. The pair received an official welcome ceremony at Heroes Square in Bridgetown where they enjoyed a chat with a number of locals. Later in the day the duke and duchess headed to Derrick Smith School for a Commonwealth Big Lunch where they were treated to a delicious cake baked by talented students. Camilla herself is patron of the Big Lunch, which is an initiative created to encourage people to come together to share food and friendship and make connections. That evening the pair did a quick outfit change before heading to the Prime Minister’s residence for a reception. 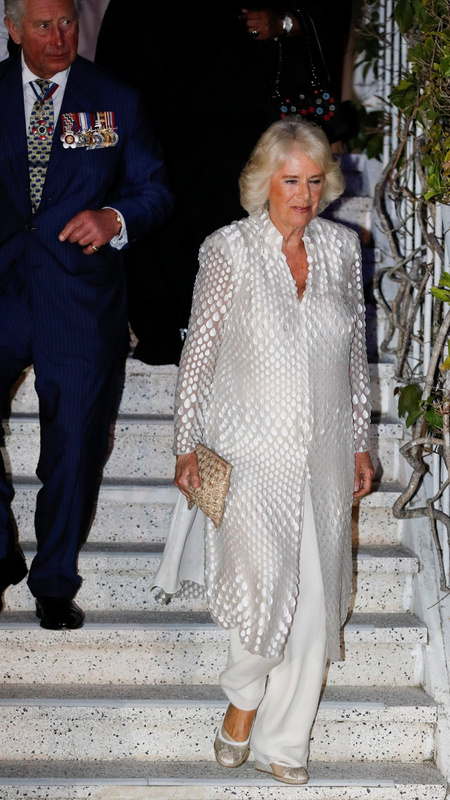 Camilla looked gorgeous in a long cream-coloured top paired with white pants. The Duchess kept things stylish with a pair of wedges and a woven clutch, while she opted for her usual slightly waved hair style. Camilla completed the outfit with a pair of silver dangly earrings and a hint of pink lipstick. Are you a fan of Prince Charles and Camilla? What do you think of the work the royal couple do across the country?